Leamington Spa has been well served by her members of Parliament since the creation of the Warwick & Leamington constituency in 1885. Several of them achieved high office, two as Attorney General and another as Speaker of the House of Commons. The most distinguished of this group of Parliamentarians however was Anthony Eden, who represented the constituency for thirty-four years and was Foreign Secretary for three periods and Prime Minister between 1955 and 1957. 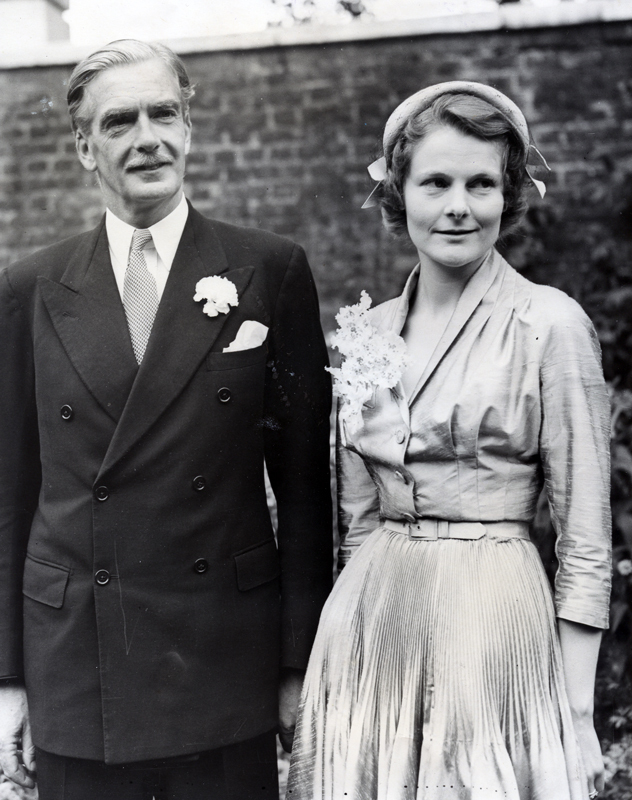 Robert Anthony Eden was born on 12 June 1897 into a landed gentry family in County Durham. His father was a Baronet. After education at Eton and Oxford, when the First World War was declared, he was serving as a Captain in the King’s Royal Rifle Corps and was awarded the Military Cross. Two of his brothers were killed in the war. At the age of twenty-one he became the youngest brigade-major in the British Army. The debonair Captain Eden rather charmed the local electorate: he was elected MP for Warwick & Leamington on a foggy December day in 1923 with a seventy-five percent turnout. 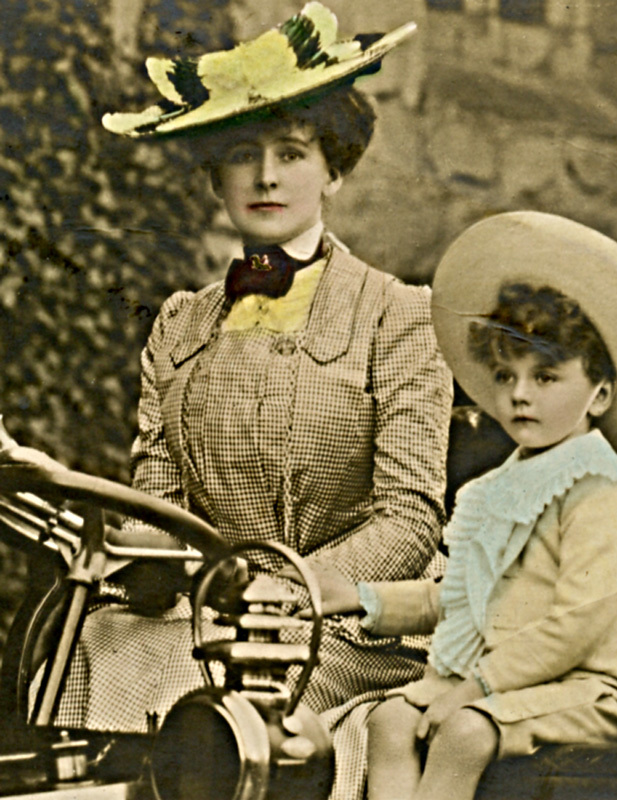 The local election campaign was bizarre and eventful, due in large measure to the appearance as a candidate by the Countess of Warwick (see photograph, left), who stood as a Socialist. 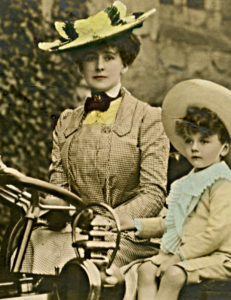 ‘Daisy’ Warwick was mother-in-law to Eden’s sister Marjorie and a close member of the Eden clan. She was a rather eccentric and colourful character whose indiscretions were regularly reported in the daily newspapers. She campaigned round the streets of Warwick & Leamington in her large Wolseley saloon, re-painted bright red to make her political affiliations clear to all and sundry. At one stage she toured the constituency in an open carriage drawn by four white horses, which rather perplexed some Leamington folk, who thought it was an advertisement for ‘The Garden of Allah’, then playing at a local theatre. Eden was by all accounts an assiduous MP who was looked on as something of a fashion icon and ‘natty’ dresser. He regularly wore a Homburg hat which became known in Britain as an ‘Anthony Eden’. It goes without saying that his cultured appearance and aristocratic background assured him of huge popular support throughout his political life and went down very well in a town like Royal Leamington Spa, still resolutely clinging to its Regency gentility. His first marriage, to Beatrice Beckett, broke down following the death of their son Simon, posted missing in action in June 1945 when serving as a navigator with the RAF. In 1952 Anthony Eden married Clarissa Spencer – Churchill, niece of Winston Churchill), and two years later was made a Knight of the Garter. The photograph (below right) shows the newly-weds, on the day, at 10 Downing Street. 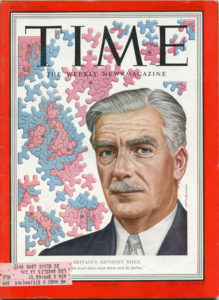 Anthony Eden retained his Parliamentary seat with large majorities throughout his long and distinguished career in the House of Commons, but like most MP’s of his era he never lived in the constituency. His latter years in office were overshadowed by a number of serious medical conditions and major surgery and by the British involvement instigated by him in the military action over the Suez Canal. His political career came to an end with a letter of resignation on 11 January 1957. He was ennobled as the 1st Earl Avon in 1961 and died on 14 January 1977. He is buried in the the churchyard of St Mary’s church in Alvediston in Wiltshire, close to his last home. As Secretary of State for War in 1940 he authorised the setting up of the Local Defence Force Volunteers which later became the Home Guard. His first cabinet as Prime Minister was made up of eighteen members, ten of whom were Old Etonians.